Toronto, Ontario, is one of the most cosmopolitan cities in Canada, and is the most diverse. It is a very well-planned city with great transit and layout. 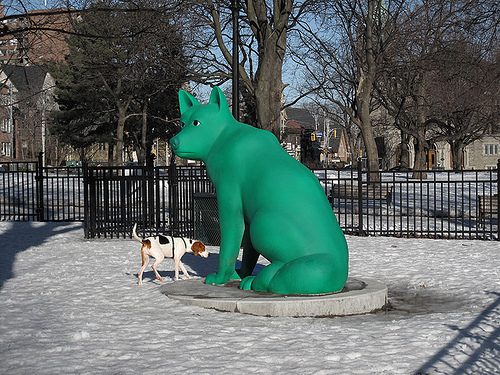 It is also a great place to have a dog, even in the cold weather, since there are so many dog parks and services. It attracts thousands of tourists year round, as it is the cultural, financial and entertainment capital of Canada. This is a 24-hour park, located right on Lake Ontario. The park is located just east of downtown Toronto, but is easiest to take a bike or motorized vehicle to instead of walking. Many people go there to swim, hike, sail or sunbathe. 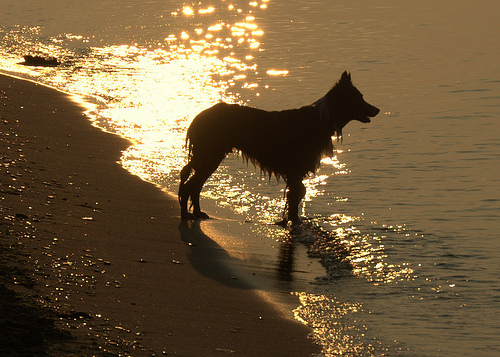 The fenced-in dog park part is located at the south west corner of the beach, between the fence and water’s edge. It comes well-stocked with waste bags, restrooms, benches and free parking. PawsWay is great for escaping the cold Toronto weather, as it contains a 3700 square foot indoor park! It is located by Harbourfront Center, and is open three or four days a week, for big and small dogs, during certain hours. It has parking, restrooms, waste bags, benches and handicap access. This is also a good place to find pet events or workshops. This is a great park for nature. It is an educational center that holds some events. It is 24 hours, fenced, and has waste bags and parking. There is a dog park area to the left of the parking lot when you enter Brickworks, and at least one other fenced in dog park when you explore deeper into the hiking trails. It isn’t recommended to go here at night. This park has five tennis courts along with its leash-free dog area. It is only a fifteen minute walk to the beach. It is located in the middle of a nice residential area. This is a must-see area. There is some limited free parking, and handicap access. It is only open 10:00 AM-5:00 PM, so you should plan to go there in advance. The greater park area is composed of 16,000 square feet of colorful seasonal plants, as well as six greenhouses. It is one of the best parts of Toronto’s downtown public open space area. Its off-leash dog park was the first phase of the recent revitalization projects. It is approximately 3,000 square meters, and has lighting, along with ornamental grasses, perennials and flowering shrubs. There is even a sculpture of a dog, to top off the aesthetic pleasure! It’s even a cute place for dogs to romp around in the snow. There is nothing more important to a dog then a walk with his pack, nice job.